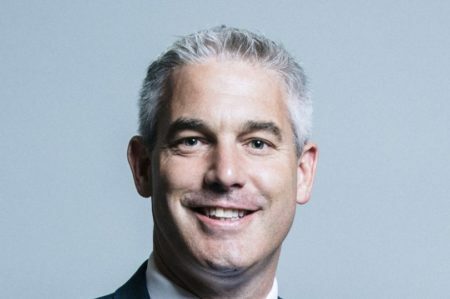 Who is new Brexit Secretary Stephen Barclay? GALLES, 16 november 2018-Mr Barclay became Conservative MP for North East Cambridgeshire in May 2010. He became Minister of State for the Department of Health and Social Care in January, and was previously Economic Secretary to the Treasury. He served as a Government Whip (Lord Commissioner of HM Treasury) from July 2016 to June 2017. He was educated in Lancashire and then read history at Peterhouse, Cambridge before studying law. A qualified solicitor, he worked as an insurance company lawyer for Axa Insurance, as a regulator for the Financial Services Authority, and as Director of Regulatory Affairs and then Head of Anti-Money Laundering and Sanctions at Barclays Retail Bank. He is married and has two children and is the son of a trade union official and civil service administrator. On his gap year, he served with the Royal Regiment of Fusiliers. He takes over from Dominic Raab who resigned on Thursday.